Against a background of worldwide competition among jurisdictions to host arbitral proceedings in the wake of globalization, the very special advantages of Macau are rising inexorably. A European settlement since the sixteenth century, this Portuguese-speaking city on China’s south coast has been positioning itself as an exemplary East–West trade centre since China’s famous ‘opening’ to the West in the 1970s. Now, diversifying its role as a service platform, Macau is poised to become a preeminent locus for commercial arbitration between China and the major developed and emerging trade nations of the West – of particular interest to its major Lusophone counterparts Brazil, Angola, Mozambique, and Portugal, but, because of its traditional and highly developed ‘Europeanness,’ to other major trading jurisdictions as well. measures to ensure the international enforceability of awards. Focusing on the challenges and hurdles Macau needs to overcome in order to succeed in this endeavour, the author provides detailed recommendations and guidelines concerning such important aspects of an arbitral seat as qualified administrative staff, qualified arbitrators, suitable arbitration rules, time and cost efficiency, publication of arbitral awards, a model arbitration clause, purpose-built facilities, and skilled professional translators and interpreters with legal knowledge. This roadmap will be useful not only for Macau but also for others jurisdictions interested in asserting themselves as suitable venues for international commercial arbitration. 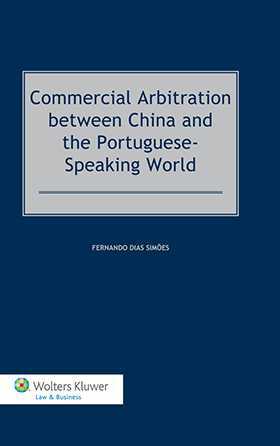 The book’s combination of global awareness and local administrative detail is sure to resonate with a wide spectrum of interested parties in legal and arbitral practice, government, and academia.